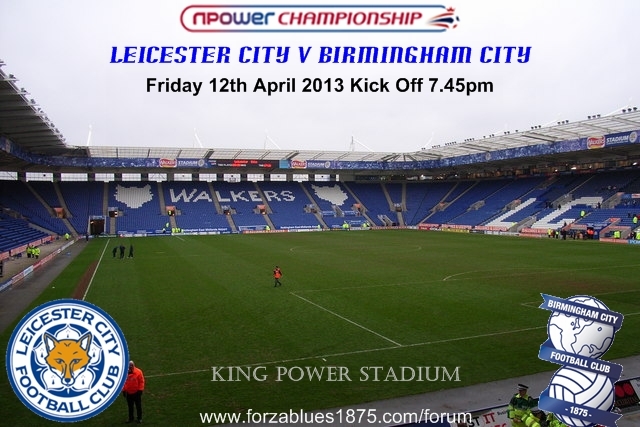 Substitute Chris Burke gained Birmingham City gained a valuable draw as Leicester’s awful run moves to one win in thirteen and almost end their play-off hopes. The game started brightly with lovely football on show from both sides, but with only twelve minutes gone Leicester took an early lead. A corner from Matt James wasn’t cleared by The Blues’ defence and Curtis Davies could only head the ball into his own net to delight the home fans. Both sides created decent opportunities in the opening 45 minutes as the hosts looked dangerous from set pieces with Michael Keane heading just over and Nathan Redmond forcing Kasper Schmeichel into two great saves at his near post. Following the break, more chances were created by both sides. Jeffery Schlupp was superbly challenged by Paul Robinson as he was set to double Leicester’s lead and then took a venomous shot that rattled the left hand post. At the other end, Robinson and Davies had volleys well blocked by the home defence. On the hour mark the traveling side scored an equaliser created by a brilliant passing move between Ravel Morrison and Paul Caddis for Nikola Zigic to tap in at the far post. It didn’t take the home side long to regain their lead through Schlupp as the Ghanaian forward rose the highest to score Leicester’s second from a corner on the night. However with just minute remaining in the match, David Nugent tracked back to help keep hold of the lead but made a clumsy tackle on Wes Thomas to potentially cost The Foxes the three points they needed. 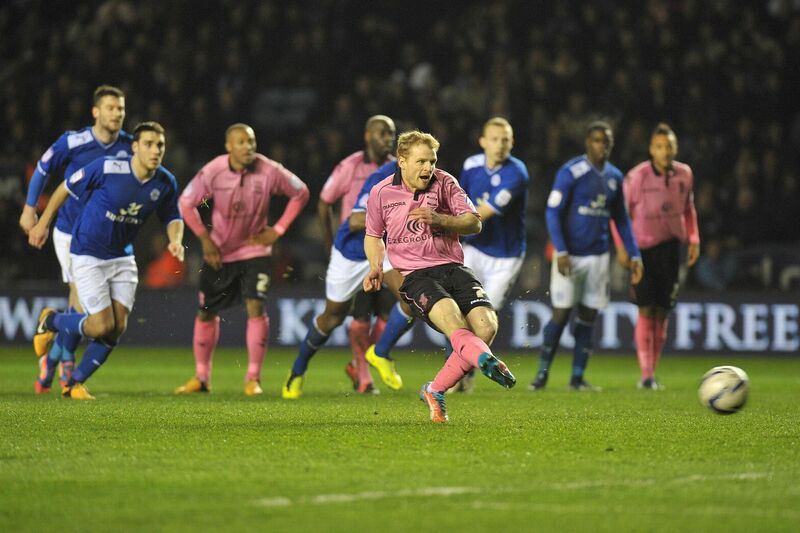 Chris Burke stepped up and fired the ball home to take advantage of Nugent’s dreadful error. “We created enough chances to have won but, for the second home game running, we’ve suffered the disappointment of letting in a costly late goal. “And the fashion in which we conceded the penalty is difficult to put into words. “Whether the foul was inside or outside, the ref gave it very quickly without consulting his assistant. He must have been sure. “I was really pleased with the performance and would have been devastated if we’d lost. “But, although I’m pleased to have got something, we can’t afford to think we’re safe.